Think your body does a great job of telling you when something is wrong? It doesn’t always. If you have elevated levels of triglycerides, your body probably isn’t letting you know. High triglycerides symptoms are not common, and a blood test is typically the only way to determine if you have higher than normal levels. Most often, the only time high triglycerides symptoms are encountered is in people who have a genetic condition that has caused the high triglycerides. This can cause xanthomas (fatty deposits) under the skin. Elevated triglycerides when combined with low levels of goof cholesterol can make conditions ideal for diabetic dyslipidemia. This metabolic abnormality greatly increases the risk of heart disease. How is your cholesterol related to diabetes? Well, insulin is required to make fat in the body and that fat contains triglycerides. 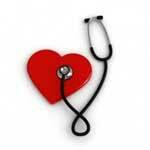 Diabetes that is poorly managed can also be one of the causes of high triglycerides. With triglycerides too high, metabolic problems, heart problems, and even inflammation of the pancreas in extreme cases are possible. This is why even though high triglyceride symptoms are non-existent, it is important to have a blood test done by your physician if you think you might be at risk. Metabolic syndrome has been defined as one or more of many health conditions that affect metabolism and weight, and includes high triglycerides. Causes of metabolic syndrome are predominantly lifestyle choices including diet and lack of exercise, but can also include age, hormone imbalances and family history as well. High triglycerides are associated with metabolic syndrome, and conditions in this group carry greatly increased risk of heart problems, stroke and diabetes. Hypertriglyceridemia (high triglycerides) has many causes, but the two most common are obesity and poorly controlled diabetes. Additionally hormone replacement therapy in women, hypothyroidism and kidney disease can also cause silent high triglycerides symptoms. Certain medications, including steroids, can also bring up your triglyceride levels, so make sure that your physician knows all medication you are currently taking. Thankfully, a blood test and consultation with your physician can determine if you have high triglycerides and require treatment. Along with medication, exercise and dietary changes are often required to get triglycerides to manageable levels, and reduce your risk of serious health conditions.